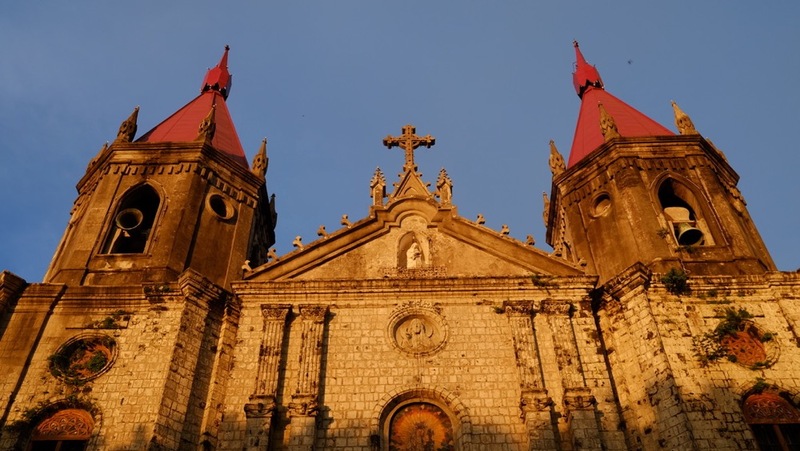 If you’re planning a trip to Iloilo, it’s likely that a visit to the UNESCO World Heritage 17th-century Baroque church, Miag-ao, is already on your itinerary. 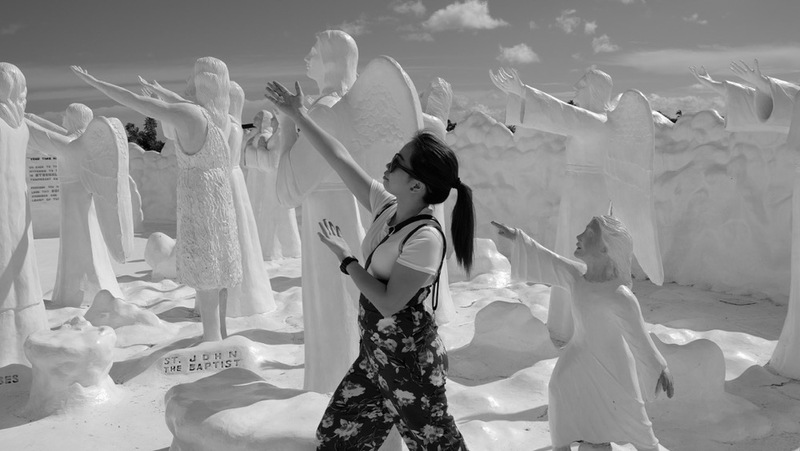 Cross this must-see site on your list plus many lesser known things to do only in Iloilo – in one day. Jaro Cathedral or the Church of St. Elizabeth of Hungary, one of the must-visit heritage churches of Iloilo. Considered as one of the city’s oldest neighborhoods, Jaro is the largest and probably the most historic of Iloilo City’s seven districts. On Google Maps, it’s easy to find affordable accommodation near Jaro Plaza, Jaro Cathedral, and Spanish-era heritage mansions in the area. We stayed at El Haciendero Private Hotel (P1,300/night, sometime in Septemer). The hotel has basic amenities and is near Robinsons Mall, eateries, and ancestral houses from the Spanish period. Head out early (I went out for a walk as early as 6am) and find locals jogging at the plaza as well as churchgoers attending mass at Jaro Cathedral. This Romanesque Revival structure was built in 1864. Wondering where you can find the church belfry? Check out the imposing structure situated right across the main cathedral. It’s unmissable. 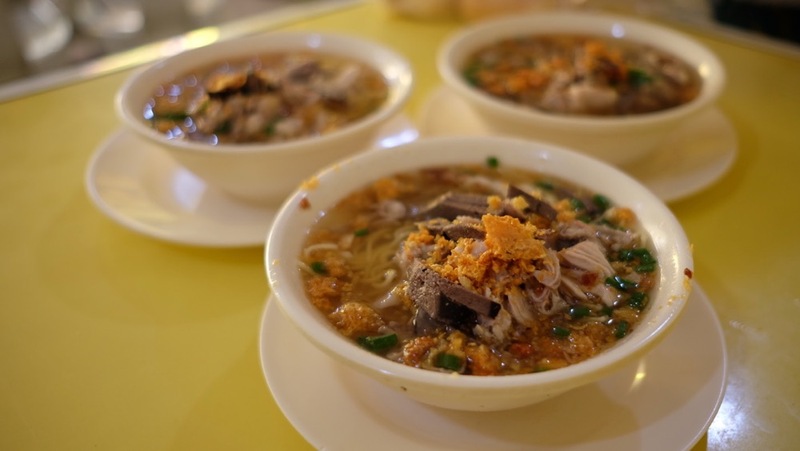 No need to book a table, just go straight to La Paz Market as early as 8AM and you’ll be sure to find an open eatery to enjoy La Paz Batchoy – a signature Ilonggo dish named after the district where it originated: La Paz. To unsuspecting tourists like us, the eateries in La Paz Market seemed to offer the same fare: a bowl of soup with sliced pork, pig’s innards, and noodles plus pan de sal. Each serving was big enough to keep us full until lunch. Budget for 3 people was below P500, which is a bargain, right? Facade of Miagao Church. Completed in 1797 in Baroque Romanesque architectural style. 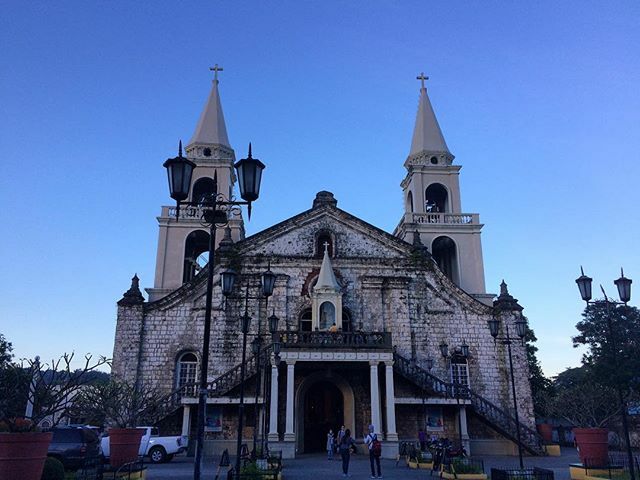 Miag-ao, a 17th-century church designated as a UNESCO World Heritage site, was what attracted me to fly to Iloilo. 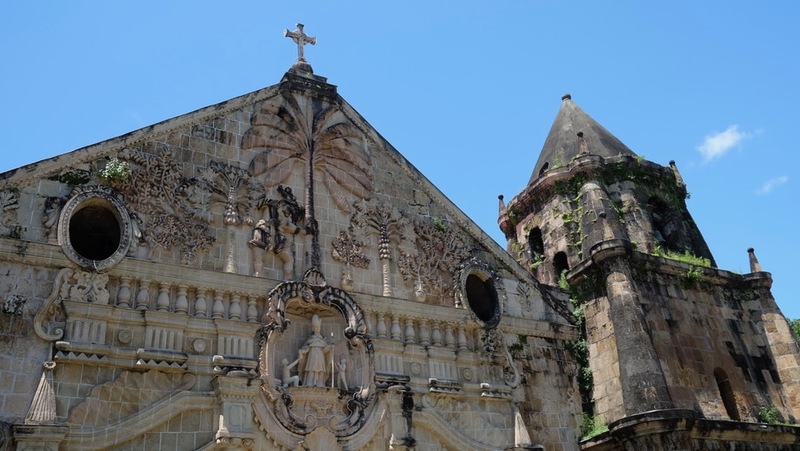 Despite the church’s unsavory history (it was built by forced labor under the leadership of a parish priest, Francisco Gonzales, and then Spanish gobernadorcillo, Domingo Libo-on), it has remained a fascinating sight up to this day. The facade of Miag-ao church was well-preserved, the intricate details still so clear and intriguing, we ended up spending over an hour just marveling at its beauty. I’m glad it still stands proud (in spite of earthquakes) for devout Catholics and explorers to see. HOW TO GET to Miag-ao Church from Iloilo Downtown: Take a jeepney to San Agustin University then another one to Iloilo Supermart (in front of Molo Plaza), then get on another one with a Miag-ao signage. Locals are helpful so feel free to ask (in Tagalog). Garin Farm’s version of heaven. Garin Farm seems like a typical farm at first sight. It has poultry farming, beef cattle farming, a life-size Bahay-Kubo, what else not to love? But Garin Farm’s charms go beyond this. Tourists don’t come here just for the farm produce or horseback riding – it’s a glimpse of heaven that lures visitors most. Or probably an imitation of heaven. I was baptized a Roman Catholic yet I didn’t practice the religion. Gladly, Garin Farm’s Pilgrimage site does not discriminate. Visitors don’t need to know the stations of the cross to get to heaven (through a stairway with 480 steps). Easy peasy. As you find your way into heaven, put on your sunglasses for the blinding sight. As your eyes adjust, you’d get your reward. HOW TO GET TO GARIN FARM FROM MIAG-AO: It’s a bus or jeepney away from Miag-ao Church. Get intel from locals or bus conductors – they were helpful. 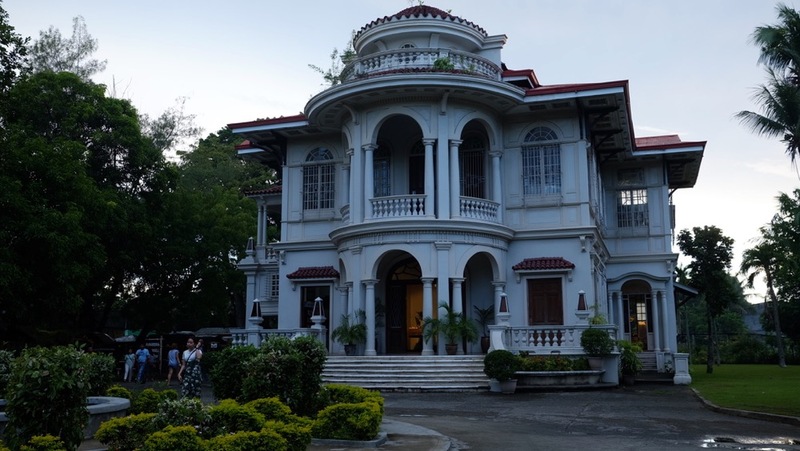 The MOLO Mansion, a restored heritage house in Molo, Iloilo. Tired from exploring Southern Iloilo, our party of three only desired a bath, mindless TV watching, and a good meal. But a stop at the Molo Mansion restored our curiosity. 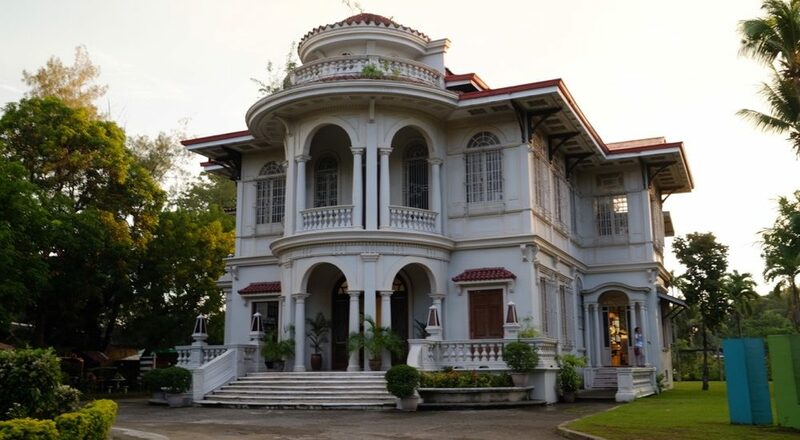 The Molo Mansion or the Yusay-Consing Mansion was developed by SM Inc. It was not on our itinerary but it was hard to ignore this beautifully restored heritage house. Inside, there’s a souvenir shop with affordable goodies. Outside, you’ll find eateries offering coffee, snacks, and dinner. We were told to try Pancit Molo. Each of us ordered a bowl plus dinuguan and puto. I swear it was the most soul-warming meal we’ve had since La Paz Batchoy. Iloilo’s feminist church with red spires crowning its two bell towers. After dining, we paid a visit to the Molo Church, which conveniently sat across from the Molo Plaza and the Molo Mansion. From a quick check online, I found that this was a feminist church (due to the all-female saint ensembles) and it’s notable for its Neo-Gothic colonial architecture. We went to Iloilo without expecting to see much. After exploring the city for a day, we fell in love with its signature dishes, heritage churches, and good people. I feel that you’ll fall in love with the city, too.